The present program seeks to strengthen the process of promoting the socio-political participation of the Palestinian population in East Jerusalem launched by the Consortium of Palestinian organizations Kana&apos;an. The intervention is designed as a continuation of the program supported by the Basque Agency for Development Cooperation (PGM-2011BA / 0009) and seeks to contribute to expanding the spaces of socio-political participation of the Palestinian population as a key actor&apos;s in a just solution of the conflict, through the strengthening of community resilience and the social cohesion of East Jerusalem communities on both sides of the separation wall. 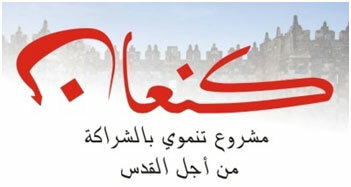 To this end, three intermediate objectives have been defined: Strengthening the Jerusalem community social fabric as a primary space for participation, strengthening the Palestinian identity of East Jerusalem at local, national and international level and developing community protection mechanisms against human rights violations of Palestinian population of East Jerusalem.